Join Miss HappyFeet's Monthly Newsletter & receive a free e-book! Dr CYJ hair filler is the world’s first hair filler injection gel that’s created for treating specific hair problems like hair fall and unhealthy brittle hair. 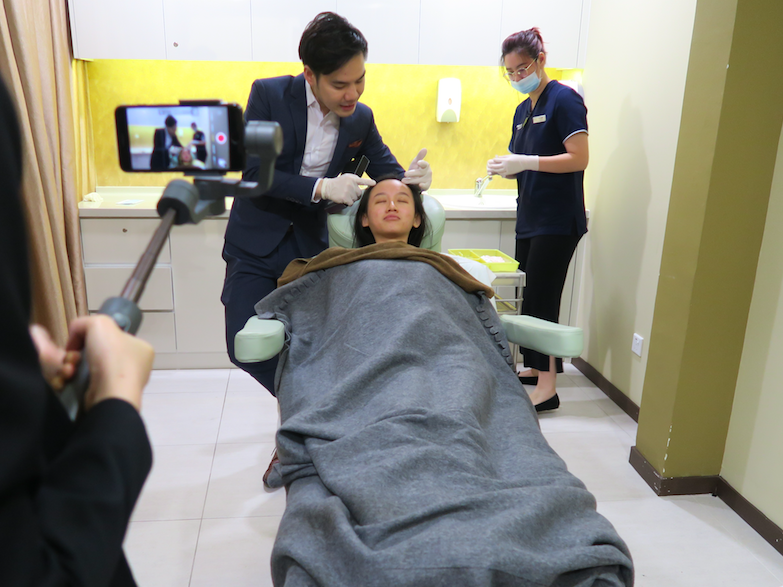 After 14 years of research, Dr Yong Ji Chung recently finalized his invention that brings good news to all human with hair loss problem and it's introduced into Malaysia by the Aesthetic Giant, Premier Clinic. What it does is to strengthen hair cells and revitalize scalp. As you might know, or might not know, I am a doctor and I face enormous stress along my career path and to my disappointment, my hair fall condition is even worse since I started horsemanship, despite my largest effort to eat healthy and sleep adequately. Everyday when I go to work, I need to tie up my hair in a bun which make things even worse as it inflict tension to the scalp area and day by day I see my precious hair fall like the dry leaves in autumn. As a girl who see my hair as “treasure”, I was devastated until I met Dr Foo from Premier Clinic, the number 1 Hair Specialist in Malaysia. I first met Dr Foo from KL City office back in July. Not only that he is very good looking, he has killer skills and vision in Aesthetic. “I’m a gardener and I am here to revitalize a forrest”, and that’s exactly what he does. the type of hair loss I am suffering is called Telogen Effluvium, a result from stress, and it can also be due to shocking hormonal changes especially in pregnant mothers and people who had recently experienced trauma. What are you injecting into my scalp? Its very important to understand the procedure you are going through and get some information of the products they are using before you proceed to the treatment chair. Hence, if your clinic couldn’t show and provide a good explanation on the procedures, get the hell out of there, they don’t know what are they doing. 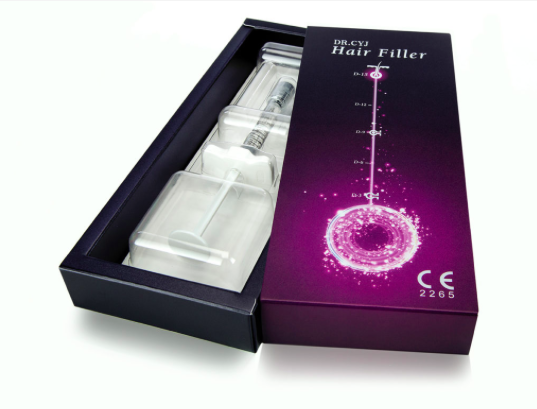 Dr.CYJ Hair Filler only contains internationally accepted patented peptides active ingredients that bring ample benefits. Thanks to the innovative trans-dermal delivery system, the active peptides will be effectively transferred and absorbed into the deepest follicles. to simulate pathways of WINT hair growth and launches stem cells for improving the hair growth function. promoting the angiogenesis level in the hair follicles that prevents apoptosis. transfer of hair stem cells. 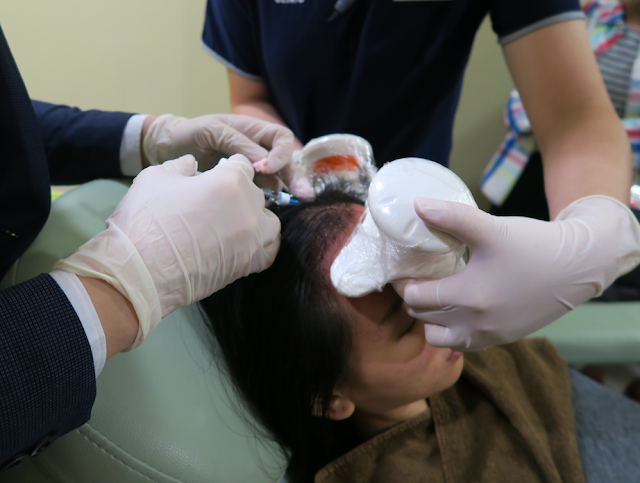 By using a short intra-derma needle, Dr Foo injected the gel into my scalp. The most question I got after my procedure was “Is it painful?”, because apparently the scalp is one of the most sensitive part with lots of pain receptors. But, trust me, it doesn’t hurt much even when in my case, numbing cream wasn’t even applied. How long do I need to allocate for this treatment? My procedure literally last only 5 minutes and it doesn’t require any analgesia. With that being said, you can come during your lunch hour and go back to work unaffected. Once the gel gets into the skin, it will begin with stimulating the micro-circulation resulting in more hair growth. It also does wonder in doubling size of existing hair follicles and enhance hair thickness and strength in order to prevent hair loss. Besides, if you are troubled by dandruff, Dr CYJ hair filler also eliminates dryness from scalp to tackling the problem inside out. When can I see the end result? Do I need to keep coming back for injection to maintain my hair? Patient may experience slight redness swelling or bruising. Else, its a very safe minimally invasive procedure. 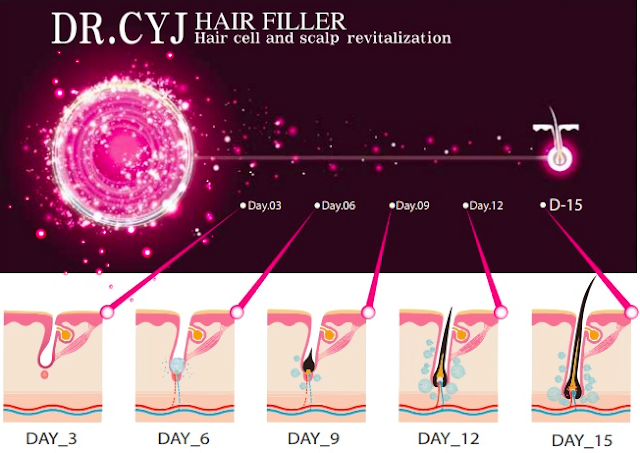 Who are suitable candidates for Dr CYJ Hair Filler Treatment? This post is based solely on my honest opinion and personal experience. If you have a different opinion, feel free to share your thoughts with me by commenting below! 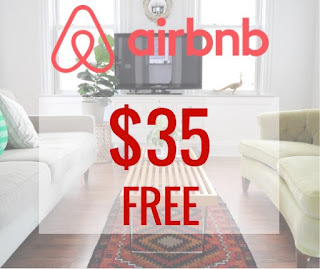 I'm Giving You $35 For Your First Stay With Airbnb! I Take photos for the sake of taking photos. thinking out of the box is a must. Friends, If you like my blog, thankyou very much. If you don't, never hesitate to leave your comments there...I really do appreciate that^^It helps me to improve. Like what you see? 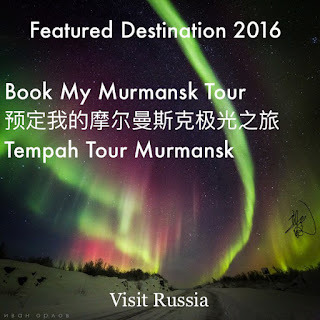 Subscribe to the blog for more travel tips coming your way!